With the continued rise of cookie blocking and deletion, advertisers are struggling to accurately track attribution. Further complicating this task is the growing cross- device behavior of their audience. Weight Watchers sought a sophisticated approach to match its audience across devices and to measure conversions influenced by digital media. Weight Watchers partnered with Flashtalking to activate Encore Attribution. 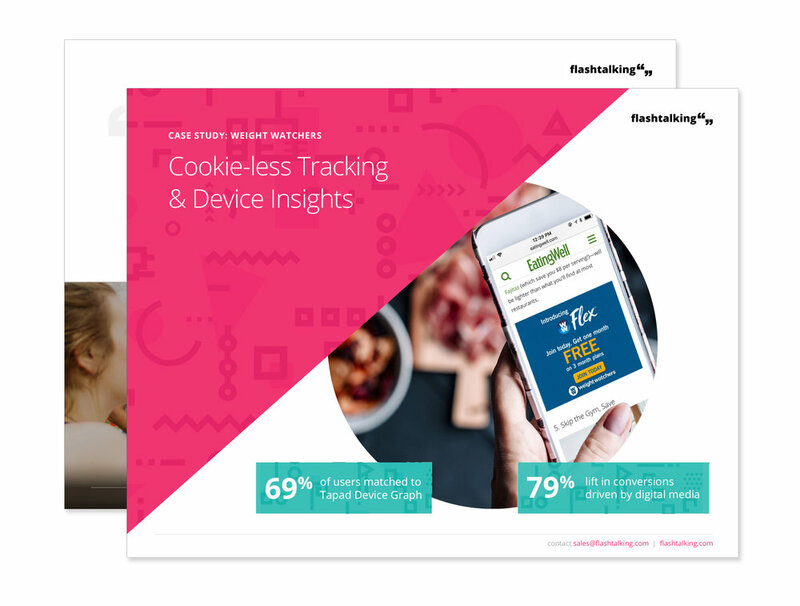 In order to attribute more conversions where cookies are unreliable, Flashtalking implemented FTrack cookie-less tracking paired with cross-device insights from Tapad.